This cute little dollie belonged to my mom before she gave it to me. 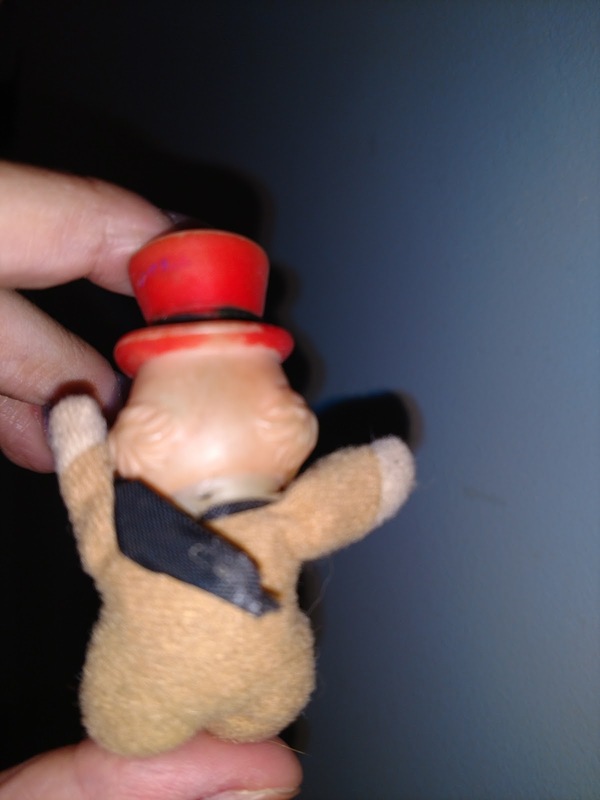 She doesn't remember where she received it or found it, but she's had it since she was a very small girl in Chile in the 1960's. The fact it is in such good condition is remarkable. 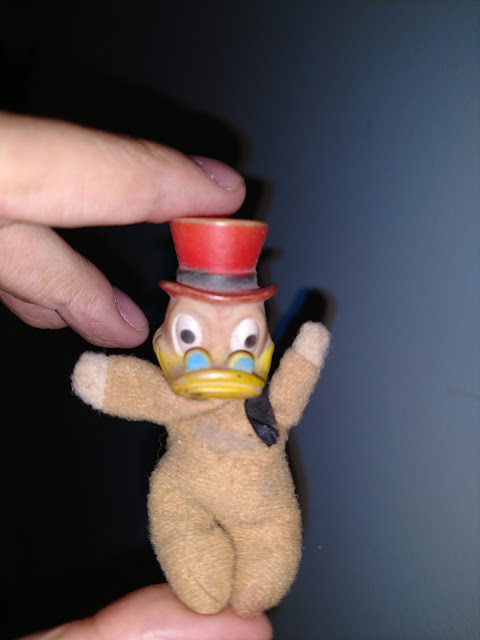 Usually rubber-headed dolls like this begin to crack or turn to dust because of entropy over time, but Uncle Scrooge is still holding up rather strong. No tags anywhere anymore so he may very well be a bootleg, but he seems legit. 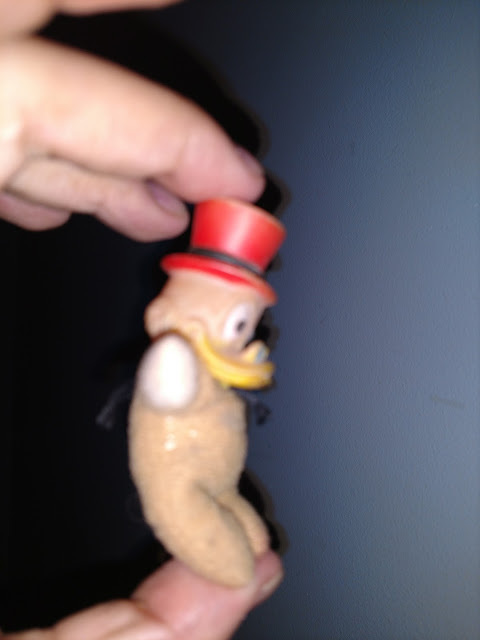 I've never been able to find any more info on this or any other dolls in this line.